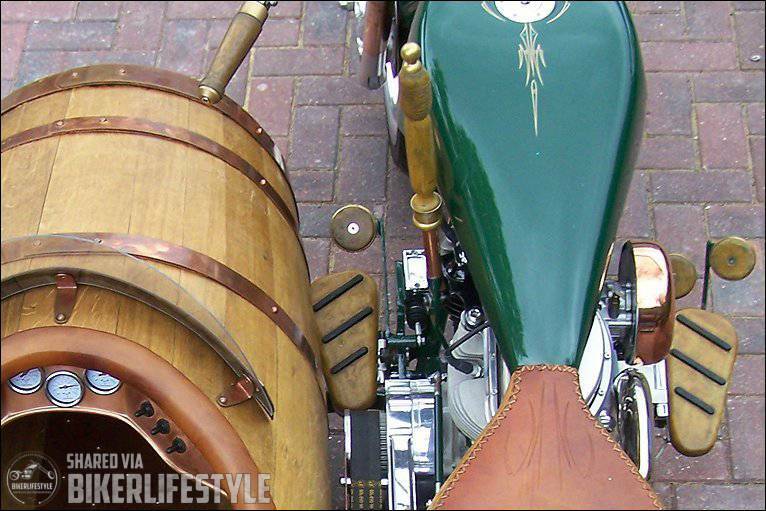 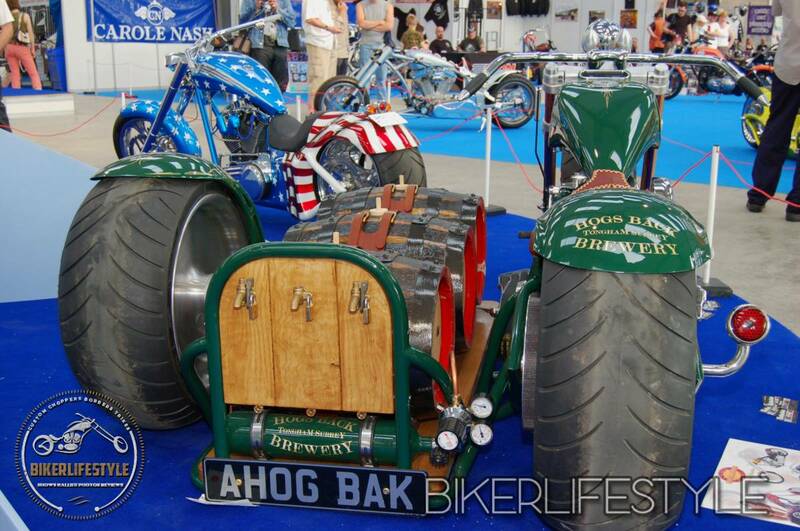 Bike and side car with fully operational mobile bar. 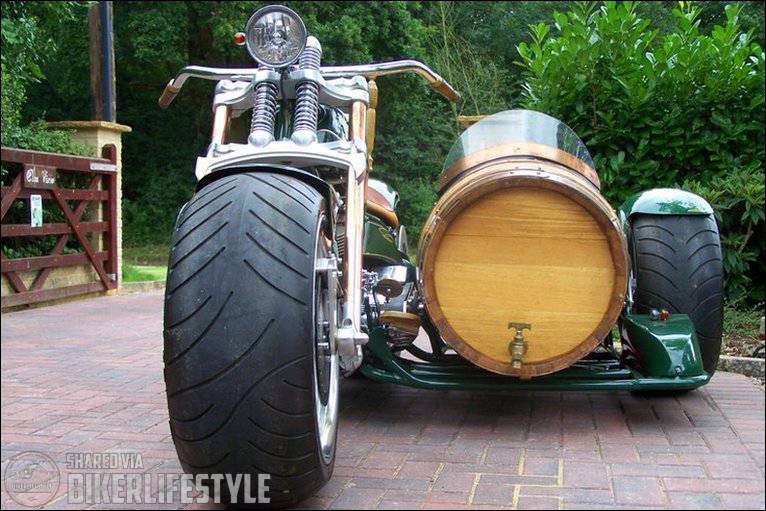 It all runs on air suspension on all three wheels called The Beer Engine. 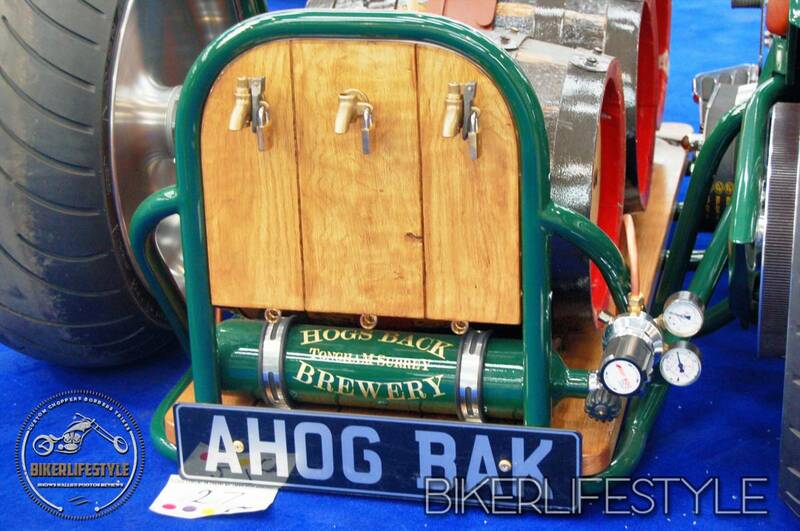 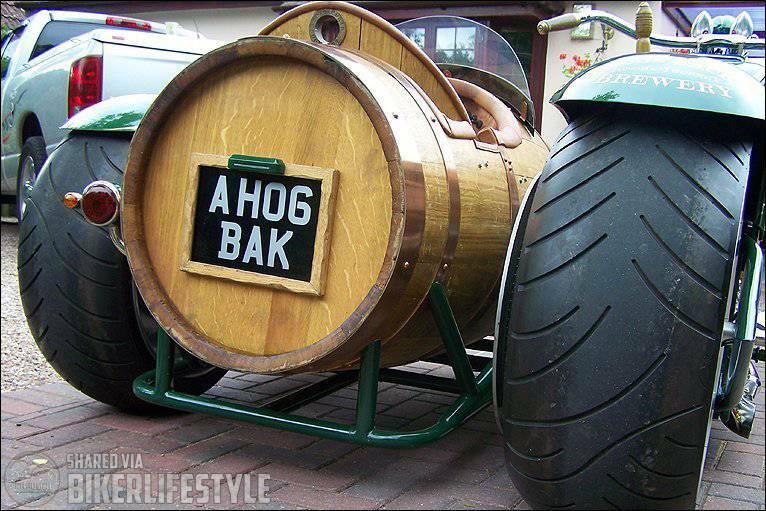 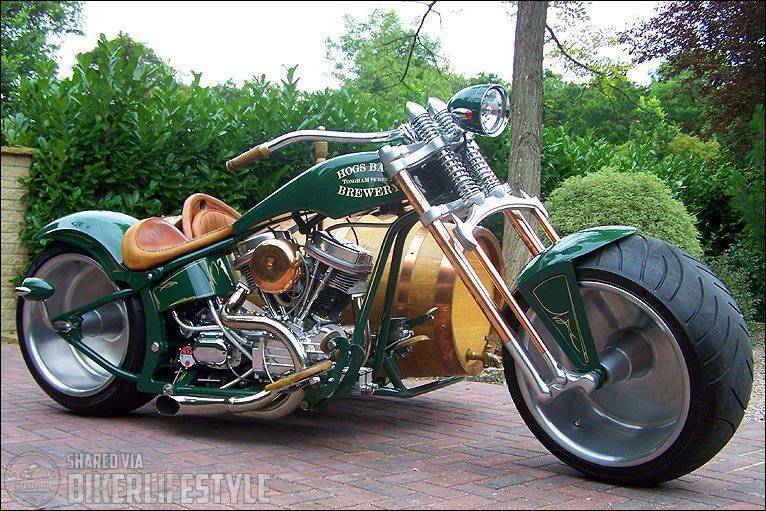 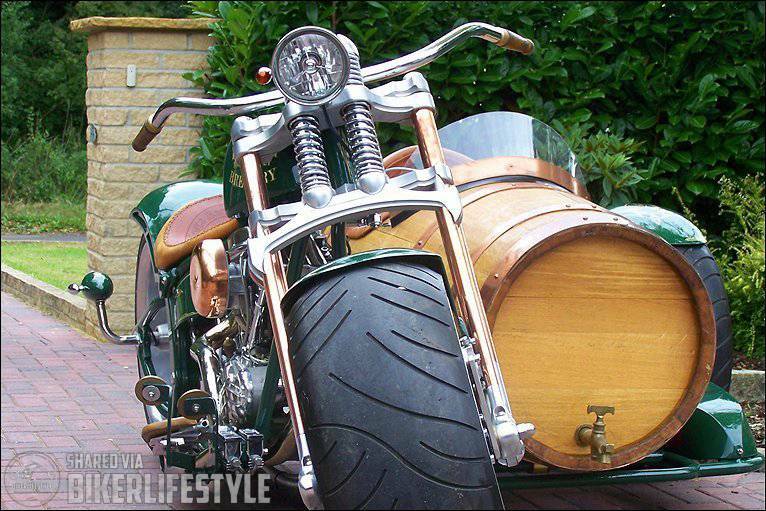 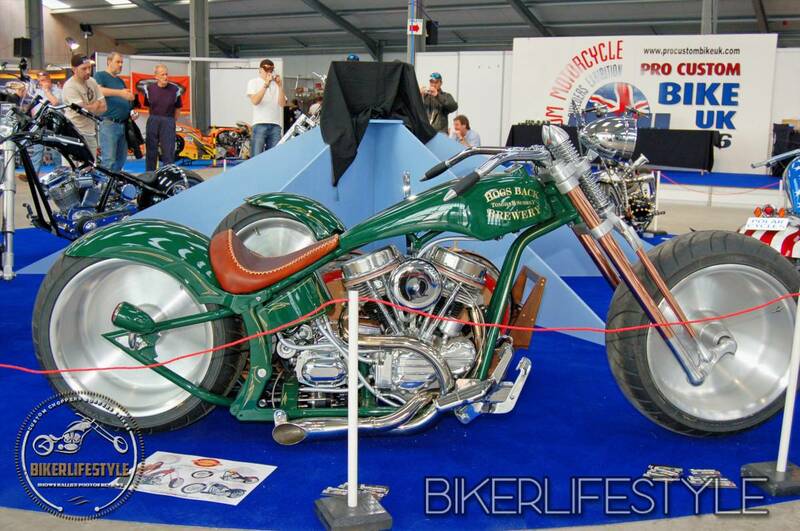 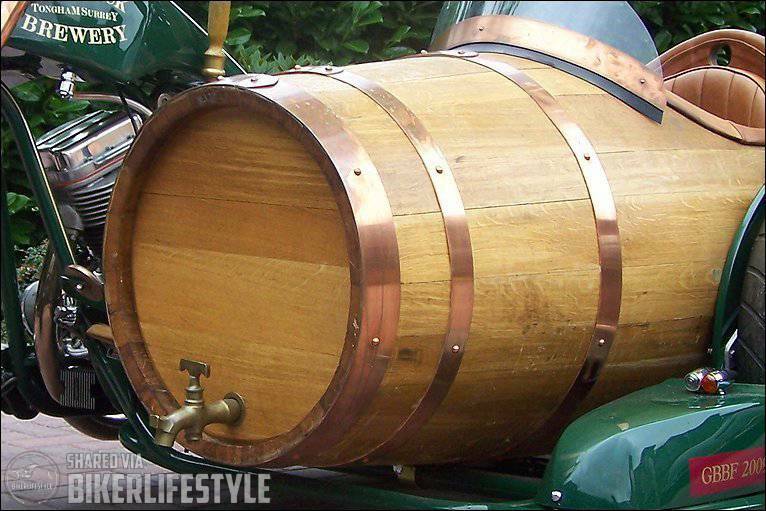 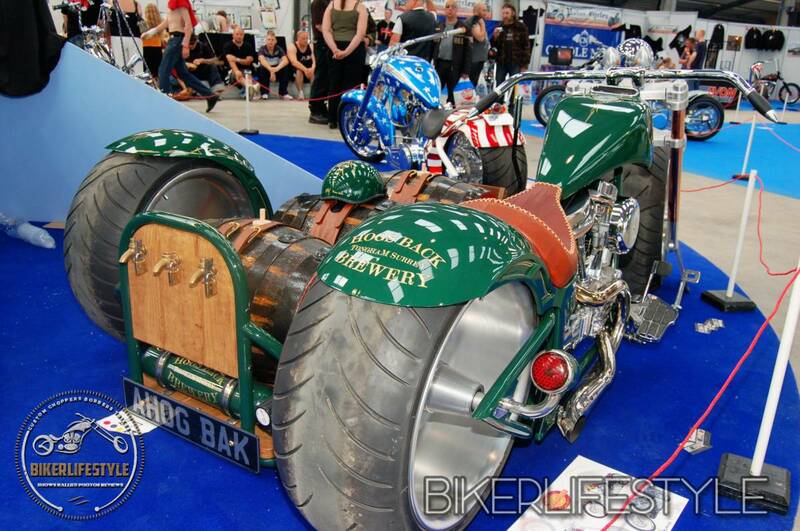 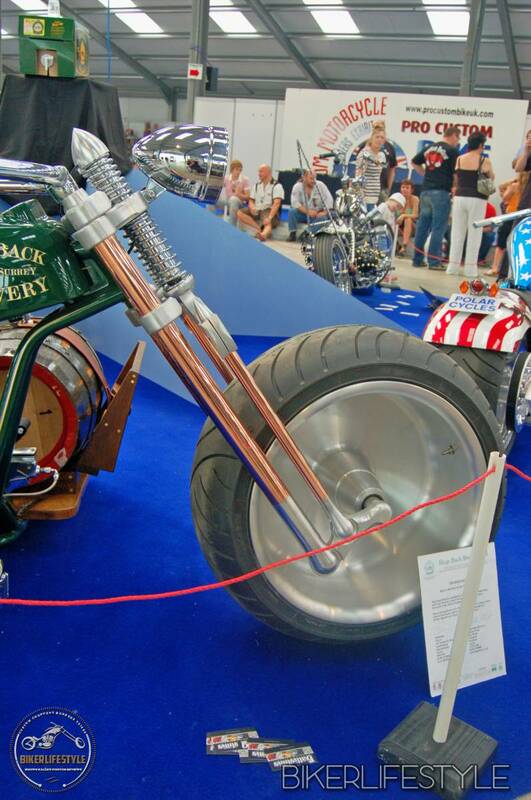 It was commissioned in 2006 by the Hogs Back Brewery in Surrey, UK and was built by Battistinis near Bournemouth. 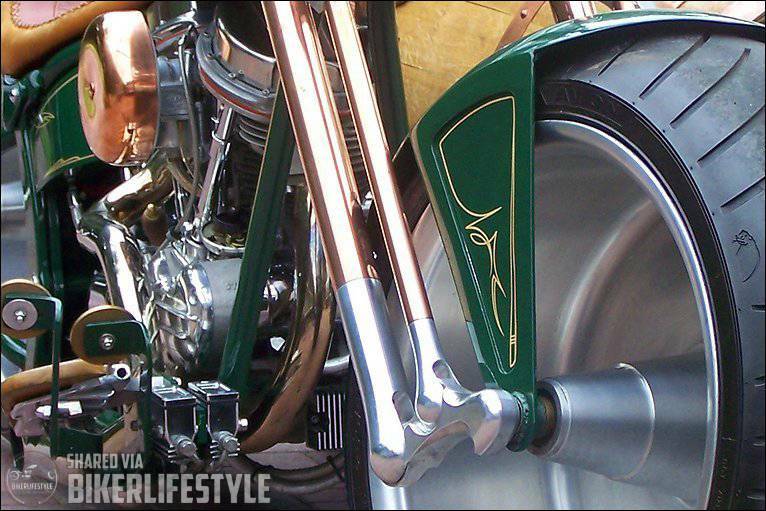 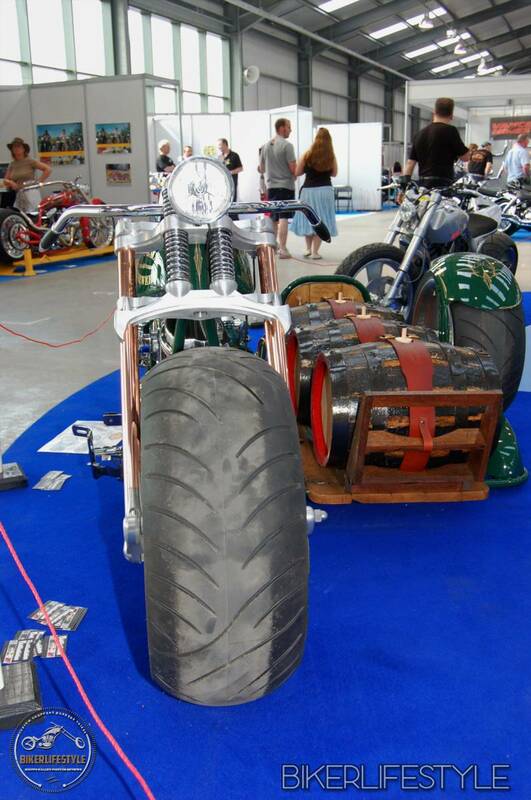 It’s build was featured on the Discovery channel’s Biker Build Off. 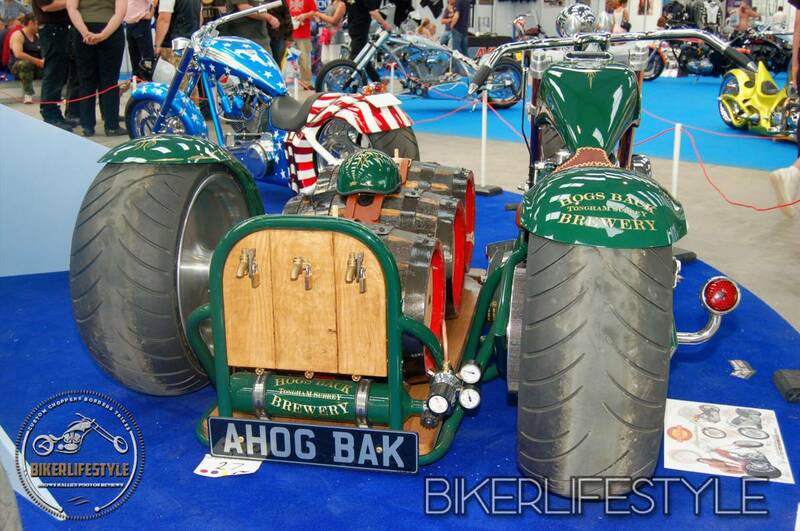 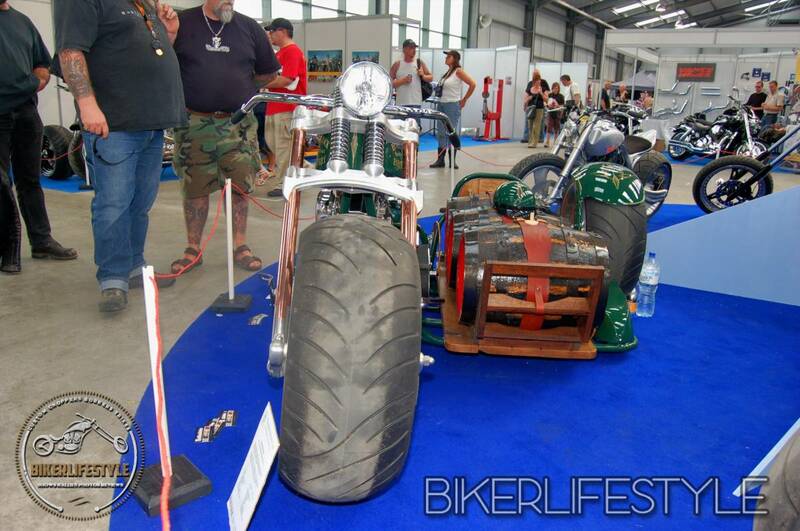 It was created to compete in their Bike of the Year awards but what they didn’t seem to realise is that bikes with side-cars were ineligible for the competition. 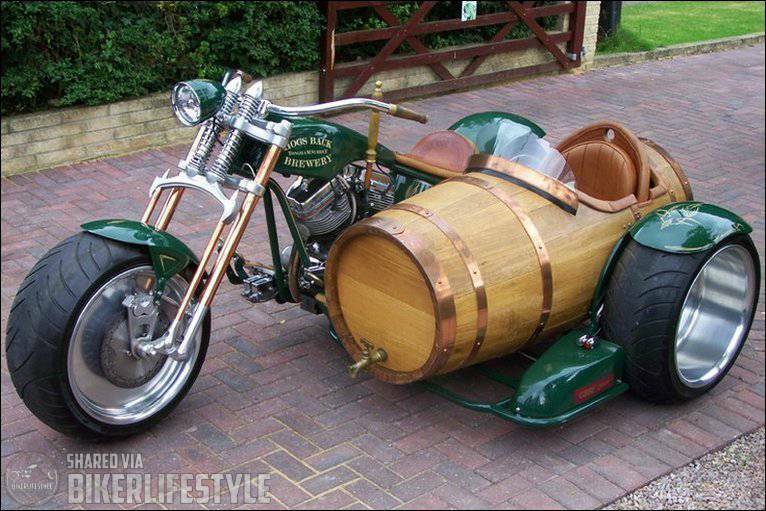 but the bike is on-display at the brewery.